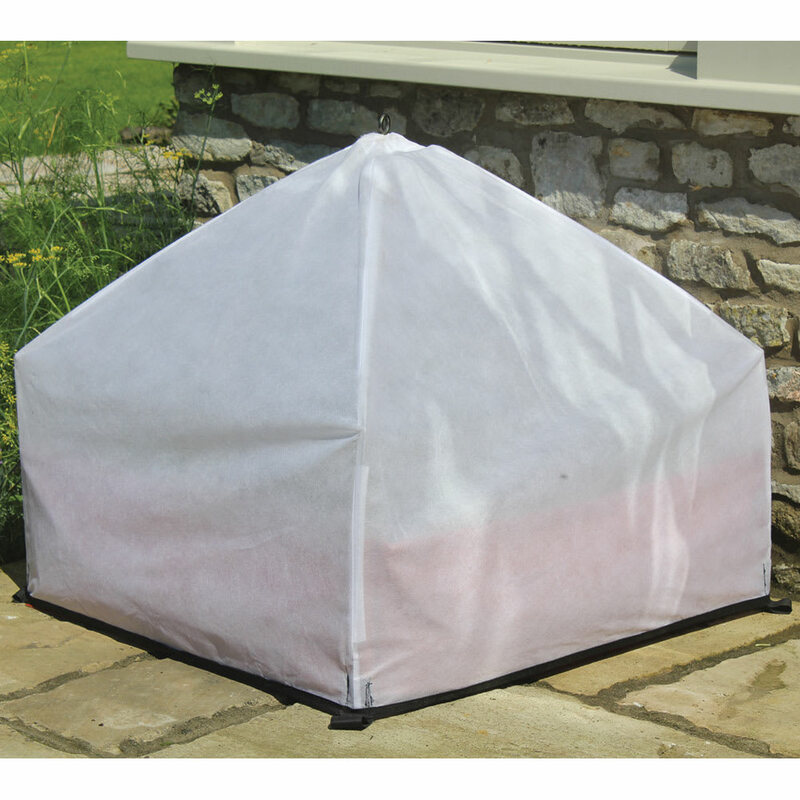 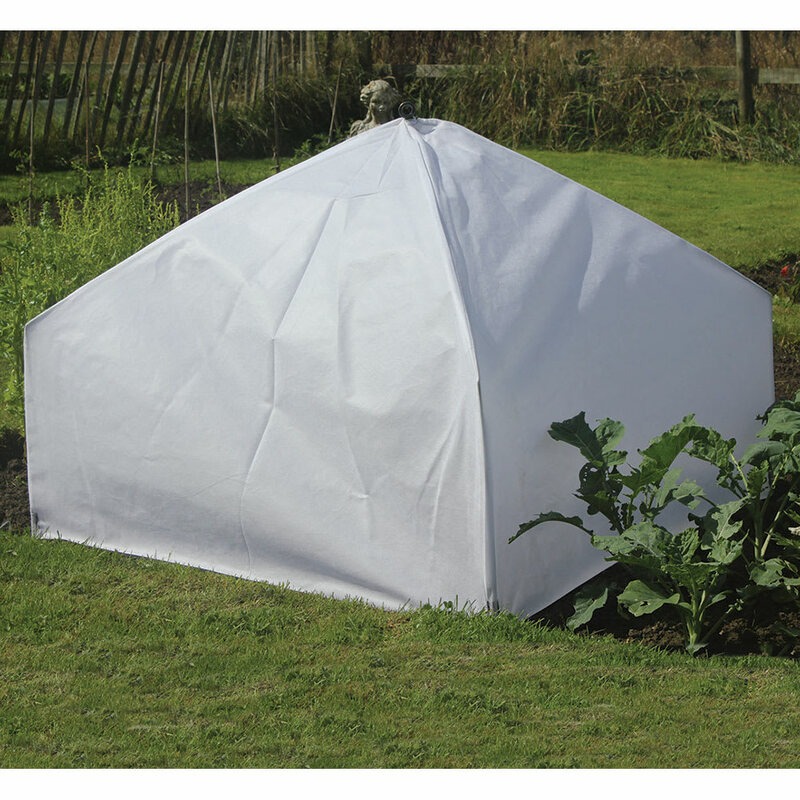 Giant Easy Fleece Lantern Cloches provide instant protection from frost and harsh weather whilst allowing sunlight and moisture to filter through. Width 1m(3ft3") Length 1m (3ft3") Height 75cm (2ft5") . 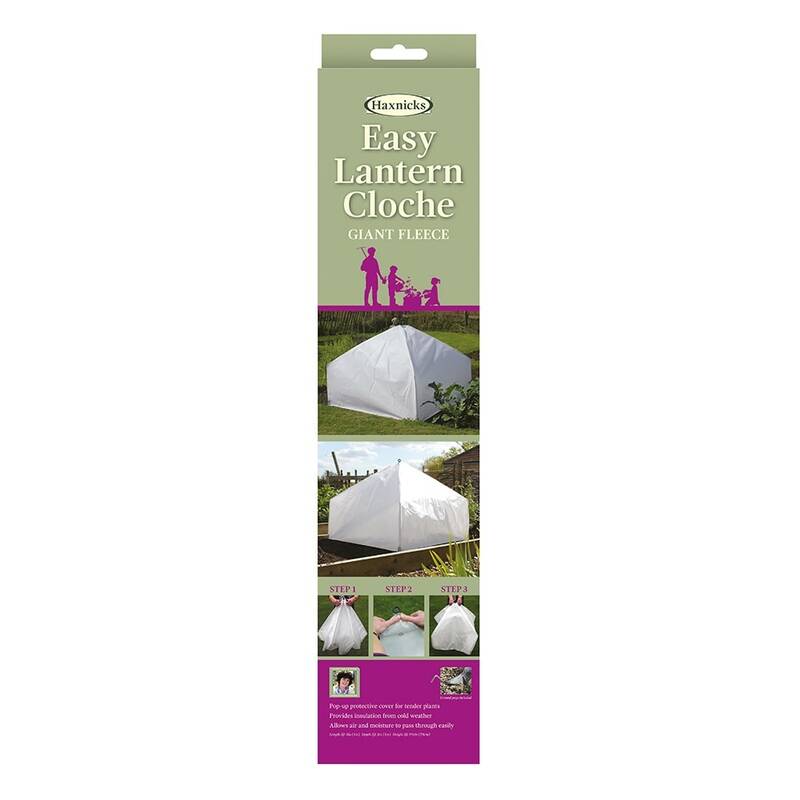 The unique patented folding mechanism means that this cloche can be neatly folded away and hung up when not in use, but then just as easily be sprung open to protect your plants when needed. 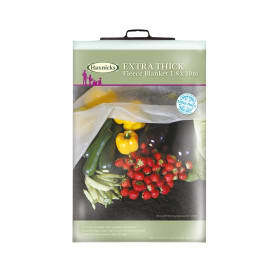 Helpful Haxnicks hint: the sowing dates of many vegetables and some hardy flowers can be bought forward a month by using cloches to warm the soil and protect seedlings during germination and early growth. 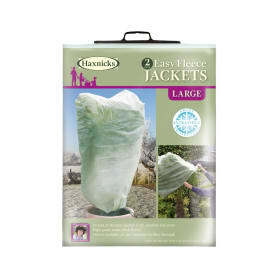 Don't let your plants go outside without a jacket or a blanket to keep them warm!